Ann has worked for the Monterey County Health Department promoting healthy eating practices to children in Monterey and Salinas schools (Project LEAN) and also worked in Development on the capital campaign for MY Museum, a local children’s museum. Ann has been a member and chair of various committees at Congregation Beth Israel and was President from 2003-2005. In addition, she has served on committees for Community Hospital’s Women’s Forum for Health, Monterey County Reads, Robert Louis Stevenson Schools, Kinship Center, Monterey’s Art in the Adobes, United Way and ACTION Council. Ann has also served on Gathering For Women’s Capital Campaign steering committee. Ann has a Bachelor’s degree in English and a Master’s degree in Public Administration. Judi has been a licensed Certified Public Accountant since 1992, and currently works for Community Hospital of the Monterey Peninsula as its Director of Financial Services. She has served on the board of United Way of Brevard County Florida, as well as Soroptimist International of Crescent City. She is the past board president of Soroptimist International of Carmel Bay. Judi’s entire career has been working in non-profit finance. She has an extensive knowledge of non-profit accounting standards and tax regulations, as well as non-profit strategic planning. Her skills in process improvement are outstanding as evidenced by her certification as a Six Sigma Black Belt. Judi is passionate about empowering women and girls and admits to having a “soft spot” for those experiencing homelessness. Judi holds a Bachelor’s degree in Business Administration and a Master’s degree in Health Administration. Amy recently retired from the Middlebury Institute of International Studies at Monterey (formerly the Monterey Institute of International Studies). 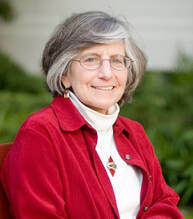 Her last position at the Institute (MIIS) was as the Executive Director for Research Centers and Initiatives; before assuming this position, Dr. Sands had been Provost of MIIS for 8 years. She had also served for three years as the Dean of the Graduate School of International Policy Studies at MIIS. Previous to this appointment, she was the Deputy Director of the James Martin Center for Nonproliferation Studies for seven years. From August 1994 to June 1996, she was Assistant Director of the Intelligence, Verification, and Information Management Bureau at the U.S. Arms Control and Disarmament Agency (ACDA). Upon leaving the government, Dr. Sands received ACDA’s Distinguished Honor Award and the On-Site Inspection Agency’s Exceptional Civilian Service Medal. Before joining ACDA, she led the Proliferation Assessments Section of Z Division (Intelligence) at the Lawrence Livermore National Laboratory. She is a member of the Council on Foreign Relations and in August 2014 she was appointed to the Secretary of State’s International Security Advisory Board, and in 2015 she joined the Argonne National Laboratory’s National Security Advisory Board. Dee is a retired interior designer and retail manager. She began her 35-year career in New York City. While there, she studied at the Art Students’ League, and the New York School of Interior Design. She created her own highly successfully art manufacturing company in the early 1970’s, and later managed the two largest volume Laura Ashley Stores in the U.S. After moving to San Francisco, Dee continuing in management and buying for Laura Ashley, Bullock & Jones, Aquascutum of London, and Bassett Furniture. Early in her varied career, she worked as an actress and spokesperson in film, stage, and television for 10 years for clients including AT&T, J C Penney, and Clairol. She is currently a board member for the Central Coast Art Association and exhibits her work locally. Ellen Stein Watson has been a registered nurse for over 23 years. Currently, she is employed with Community Hospital of the Monterey Peninsula as the Community Health Coordinator. After being a clinical nurse for a few years, Ellen made the switch to health education. She is especially interested in older adults and the underserved especially women. Her first experience with Gathering for Women was in 2014 when she was involved with finding healthcare professionals to come speak at the lunches. Ellen was very impressed with the amazing work of the volunteers and the sense of community and support created for the homeless women. She was inspired by the volume and commitment of volunteers at Gathering for Women. Her other volunteer commitments include active participation in the RotaCare Clinic in Seaside. Gin is powered by her life’s mission of making connections for good, and her multi-level background in business, arts and culture contributes to her mission. Gin began her career as a teacher in her native South Carolina, working with challenged children and youth, and serving as a specialist in her field at the SC Department of Education. In Washington DC, she was on staff at a White House Conference for Children and Youth, the U.S. Department of Energy, and was a specialist on building coalitions to support legislative issues for a major trade association. Her background in real estate includes the development and marketing of premier office buildings in downtown Los Angeles and surrounding areas for the Ahmanson companies and Koll Development and consulting in government relations and public art programs. Gin has found great pleasure in helping sellers and buyers of real estate on the Monterey Peninsula for over a decade and is an active realtor with Sotheby’s International Realty. Her education includes both B.S. and M.Ed degrees, and postgraduate work in journalism, real estate and communications. Gin cherishes the Monterey Peninsula and has been active as a board member for the Monterey Museum of Art, Carmel’s PacRep Theater, Carmel Chamber of Commerce and a member of a community relations group for the Middlebury Institute of International Studies. Gin is an active volunteer for the Carmel Heritage Society, the Carmel Women’s Club, and Church of the Wayfarer; she is dedicated to raising funds and awareness for programs she supports, especially homeless women on the Monterey Peninsula. ​Kent Glenzer joined the board of Gathering for Women in the Fall of 2018. Kent is an Associate Professor at Middlebury Institute of International Studies. He holds a PhD from Emory University, an MA in Communication from Cornell University and BA in Journalism, from Northwestern University. He’s been teaching at the Institute since 2011.Kent has extensive work and research experience in sub-Saharan Africa, having spent 28 years prior to coming to the Institute with international NGOs such as Oxfam America, CARE, PATH, and also with Peace Corps. His work, teaching, and research focuses on the intersections of culture, organizational behavior, monitoring and evaluation, decision making, and strategy. He specializes in understanding how power dynamics, identity politics, and structural exclusion influence organizations, public policy, philanthropy, and the relationships between public, private, and nonprofit actors.He’s passionate about transforming higher education so as to better prepare young professionals to work on complex, wicked problems. This requires us to rethink and reinvent relationships between public, private, and nonprofit enterprises to connect disciplinary silos and expertise in new ways, and adopt transformative andragogical approaches in our programs. What the world doesn’t need is more competent, obedient, rule-following technocrats. What it does need is feral professionals who can transform systems and reconfigure long-standing relationships of power.